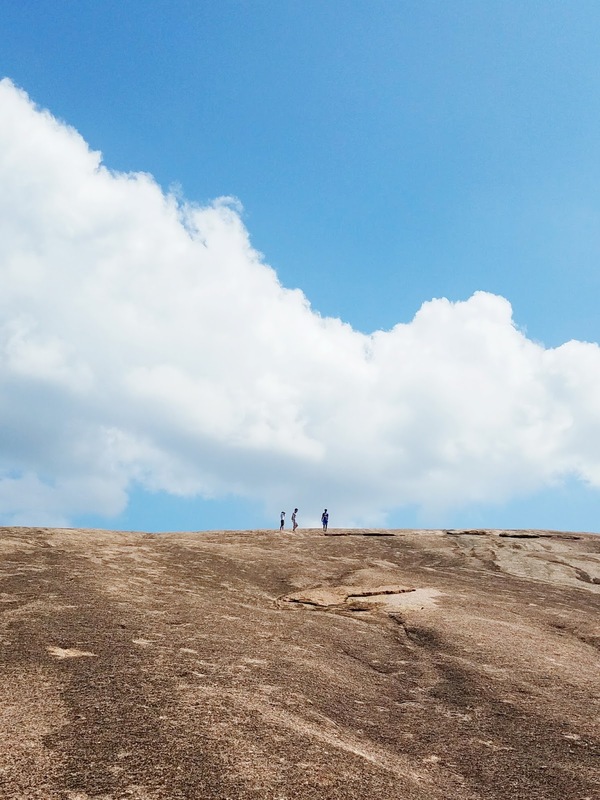 This Labor Day Weekend was a special one, because I got to visit one of my favorite places in all of Texas: Enchanted Rock. 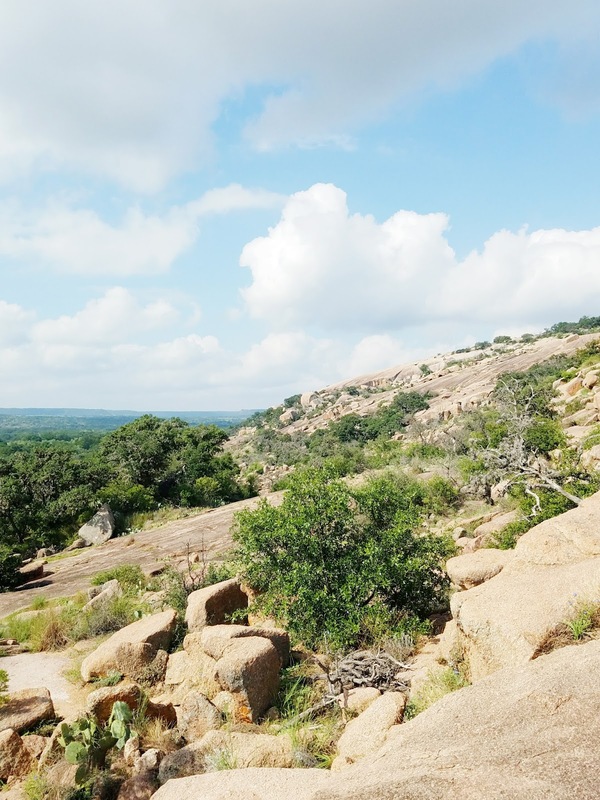 Before this trip, I'd only been to Enchanted Rock once before about two years ago. It sure was memorable, because I made the effort to take this picture when I received my acceptance letter to the engineering school at UT. *currently laughing* Haha! What a blast to the high school past! After that trip two years ago, I couldn't wait to have another chance to go again. I made a pretty last-minute decision to go with some close church and family friends this weekend, and I'm so glad we made the trek. It was well-worth it! 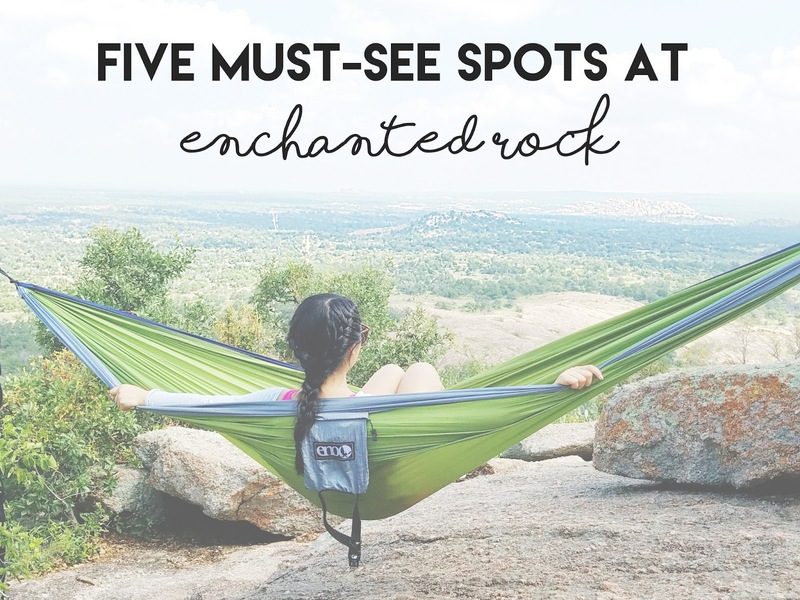 There are many things that make this place so special, and I just had to share them with all of you here along with five must-see spots of the area. 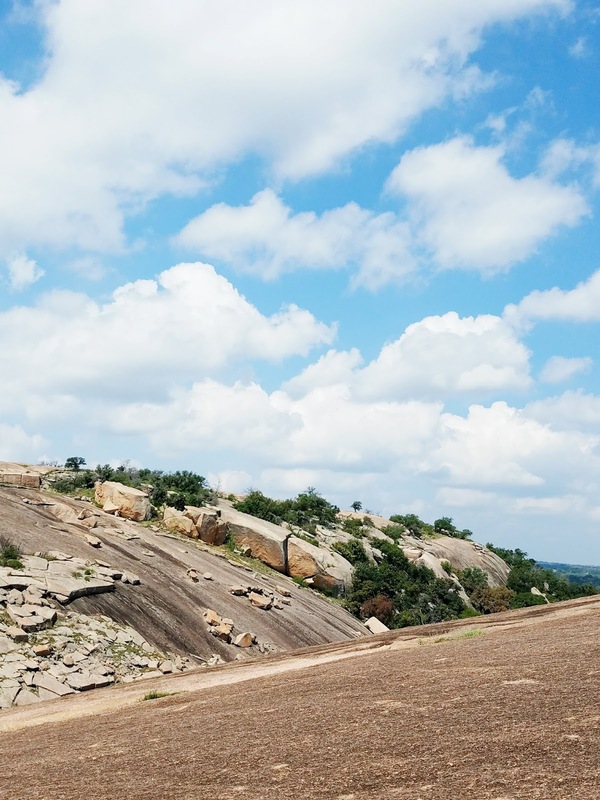 About a 1.5 hour drive away from Austin, Enchanted Rock is essentially a massive pink granite batholith (a.k.a. 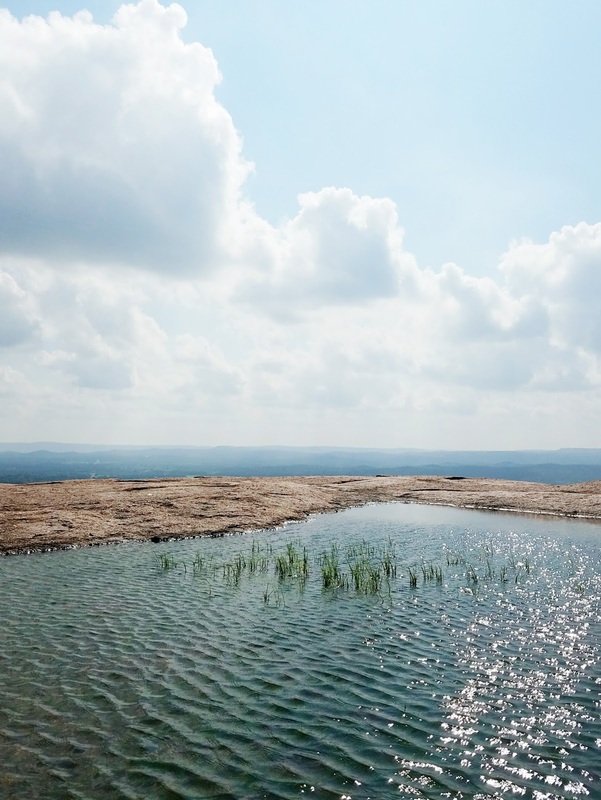 a massive igneous rock formed beneath the Earth's surface) that stands a little under 2,000 feet above sea level. 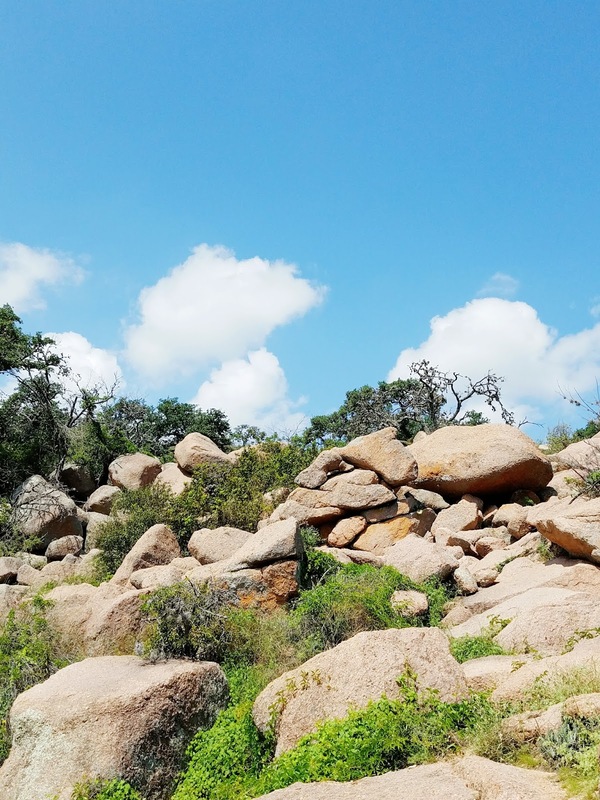 Based on what I've learned from my geology classes in college, Enchanted Rock is made up of some of the oldest rocks on Earth from the Precambrian time period. (Think: 1 billion years) I've heard so much interesting history about it, I feel like my former geology professors would be quite proud of me. I woke up around 6:30 am for the hike and made sure to pack my hiking essentials. The park opens at 8 am, so we tried to arrive early. I knew the park would hit capacity real quick on a long weekend! 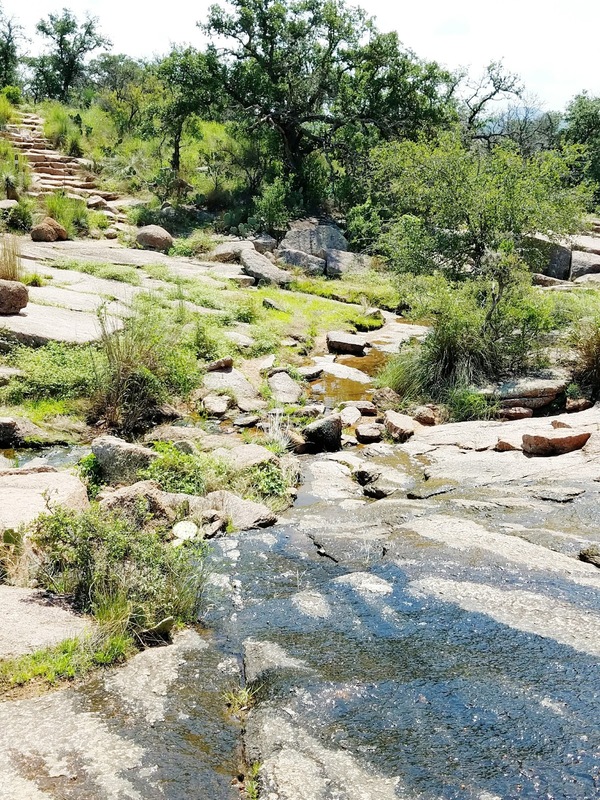 The picture above was taken before our hike, and it shows a great view of the rocks. After paying the entrance fee and getting our maps, we decided to hit Summit Trail, a steep and challenging 0.67 mile route. The picture above was the view when we first started the hike. 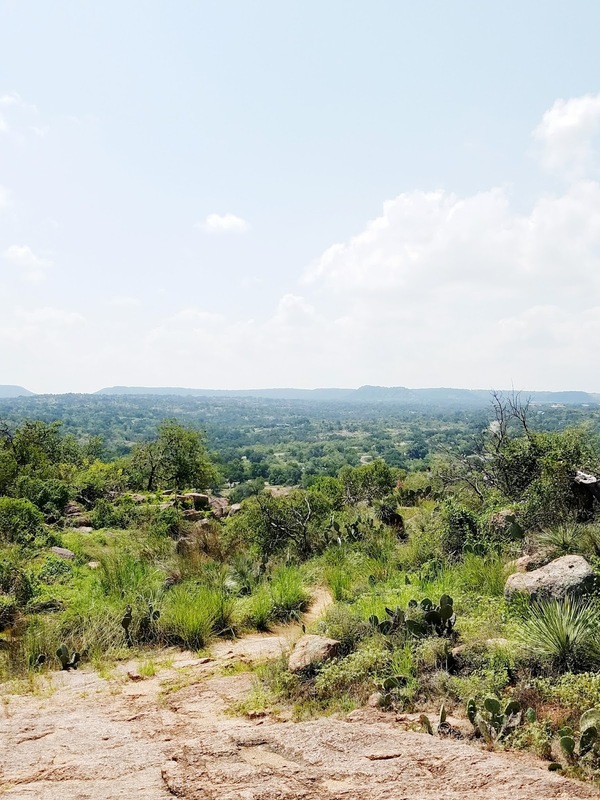 Some people might mistake Texas for a dry desert, but I can assure you - this part of Texas is definitely green, y'all! 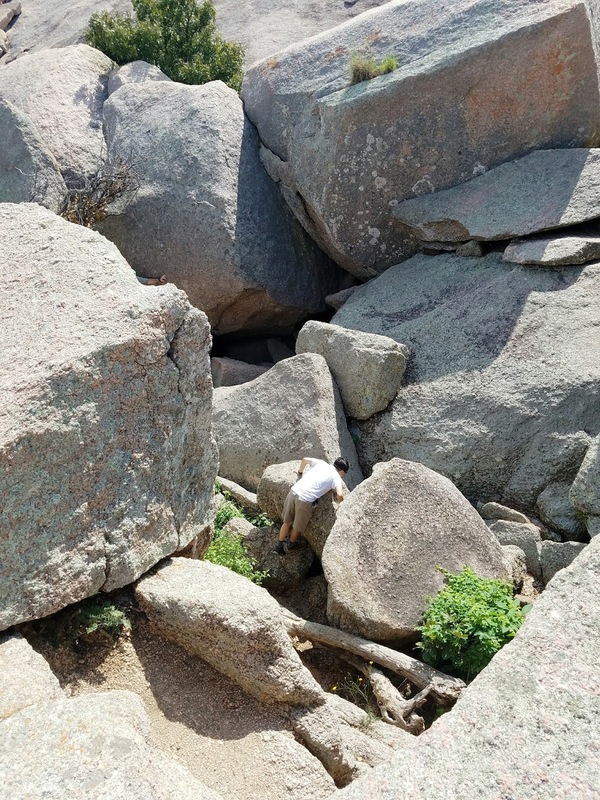 The climb was pretty intense for what it was! Even though it was under a mile, I took multiple breaks to catch my breath. I also tried taking as many pictures as possible on the way up, but let's be honest. Pictures weren't exactly my concern yet! I really just wanted to reach the top. 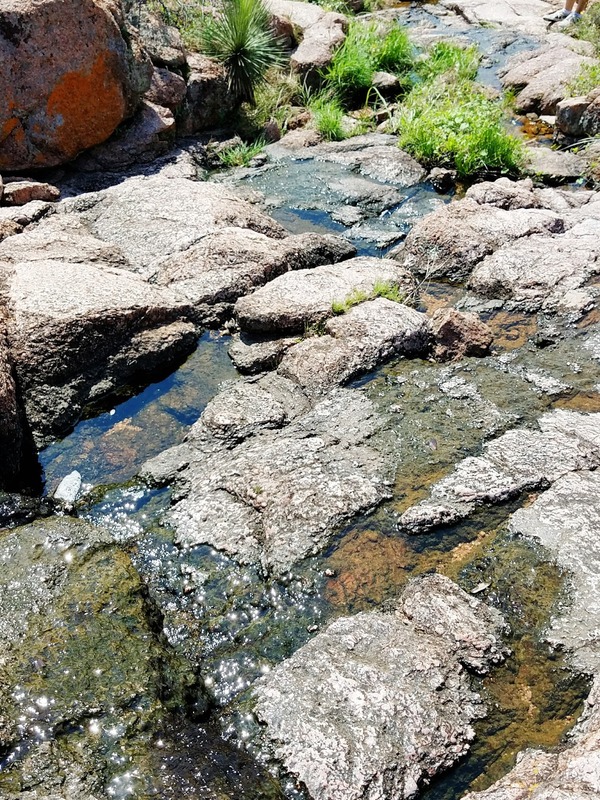 Once we finally reached the peak, I was surprised to find that water collected in the weathering pits of the rock and made small vernal pools. You can actually find a bunch of swimming fairy shrimp that look like tadpoles. Super cool stuff! 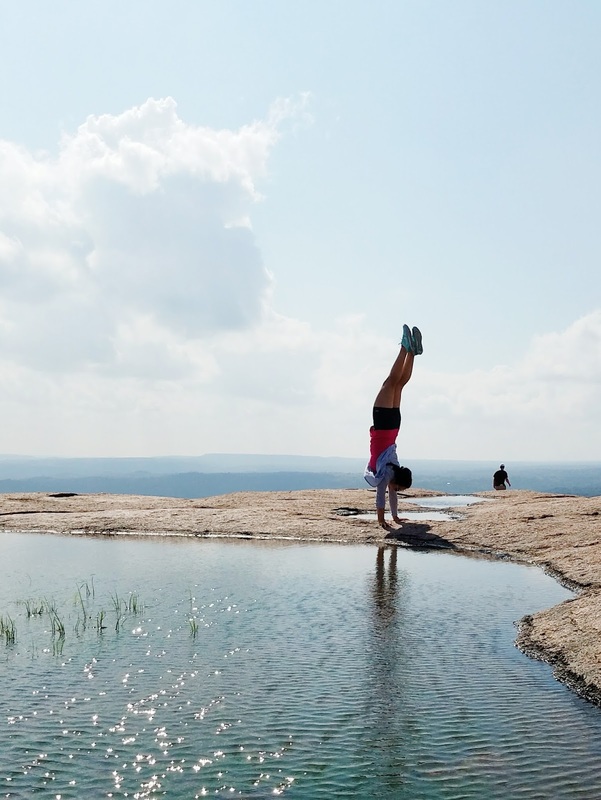 Of course, I had to get a handstand picture in! I originally thought we weren't going to take much time at the top. Maybe just get a few pictures here and there and then head back down. But...drumroll, please. We found hidden cave entrances! Yeah, I was super excited. 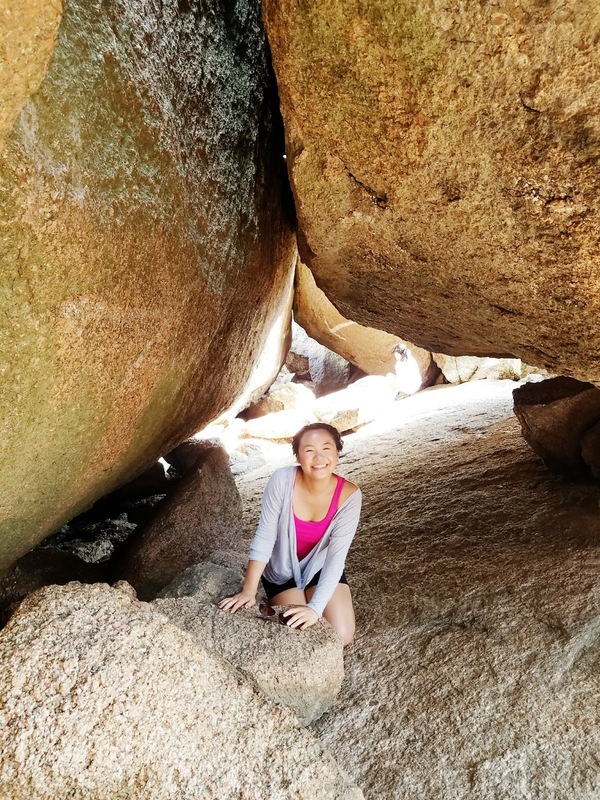 These hidden caves were a little hard to find at first, but once we got in, we had a blast exploring. Some had narrow entrances and some had low clearances, but they were much cooler inside, so it wasn't too difficult getting around. They were definitely a cool and surprising find. Oh, and these rocks right above the caves were huge! 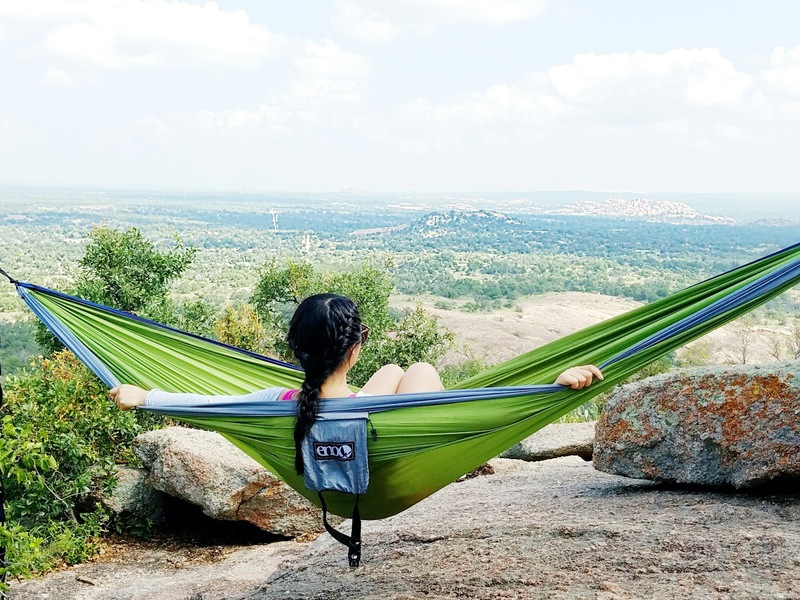 As some of the boys continued to explore the caves, I was on the lookout for some hammocking trees on the east side of the Enchanted Rock peak. 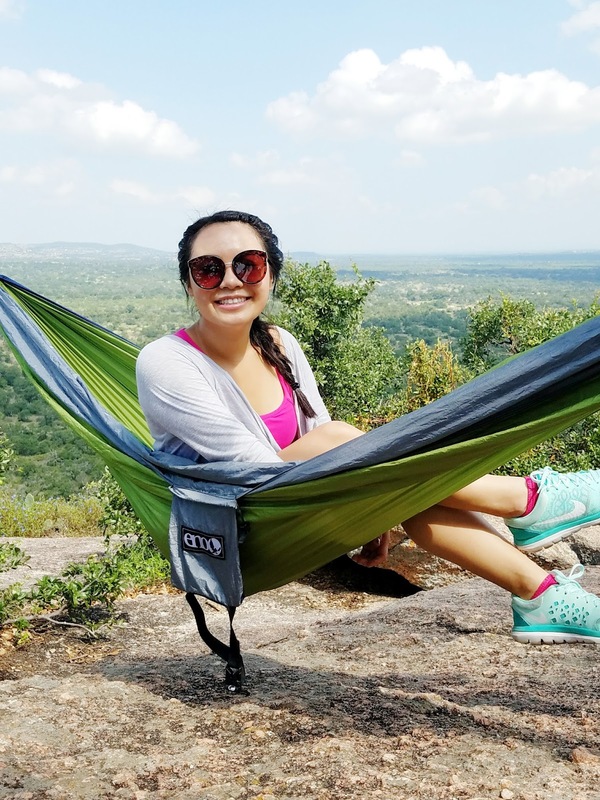 We found a place right above the caves, and we set up my favorite hammock overlooking this beautiful view of rolling green hills. After we finished exploring, we decided to head down. 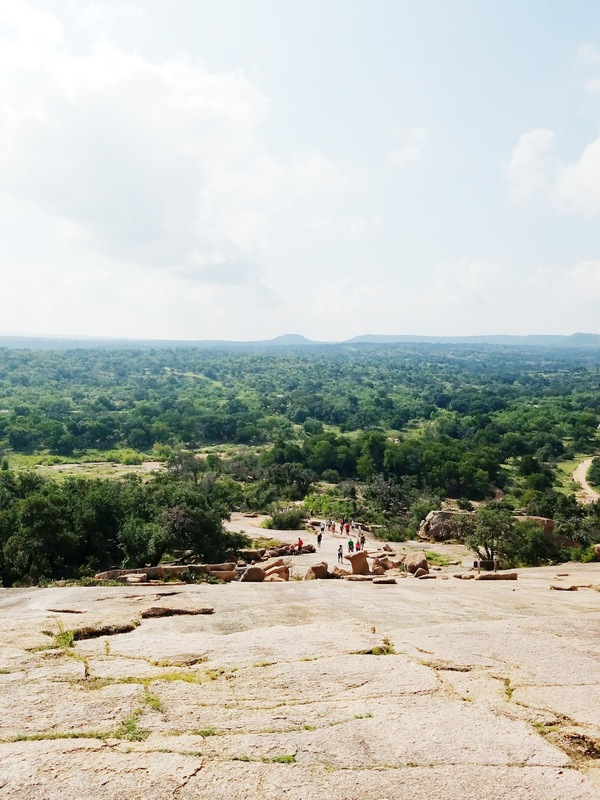 One of my favorite views of the whole trip was the one above, just below the peak of Enchanted Rock. 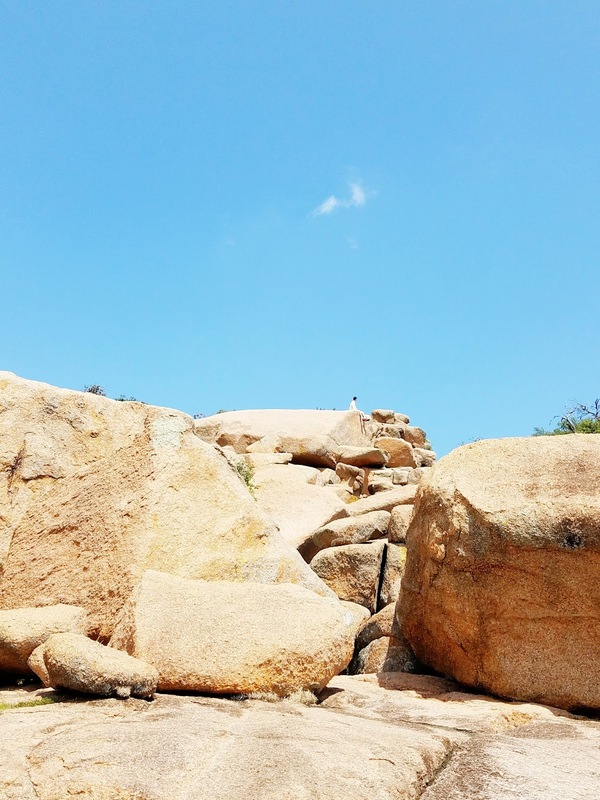 People looked like ants compared to the great sky and huge rock. It was a great reminder of seeing how little we are compared to the some amazing creations on Earth. 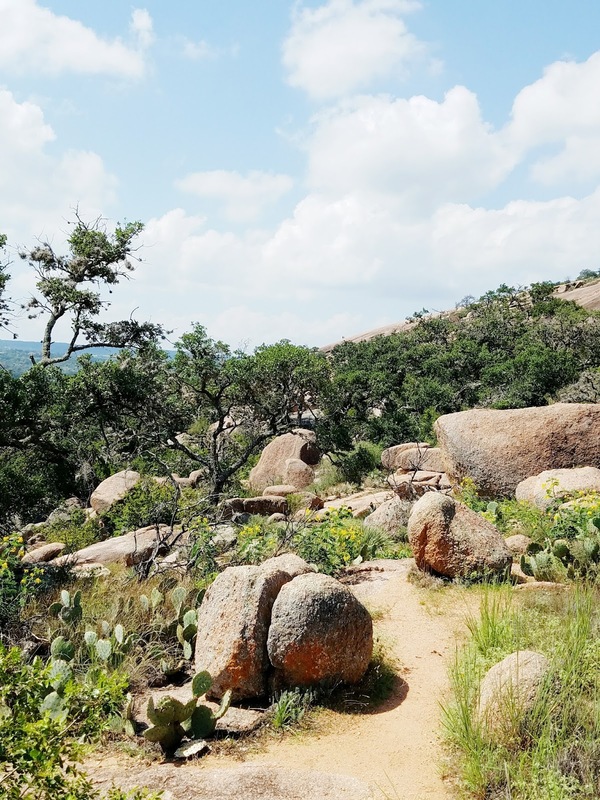 We unexpectedly headed down Enchanted Rock on a trail that was a little more adventurous and scenic. 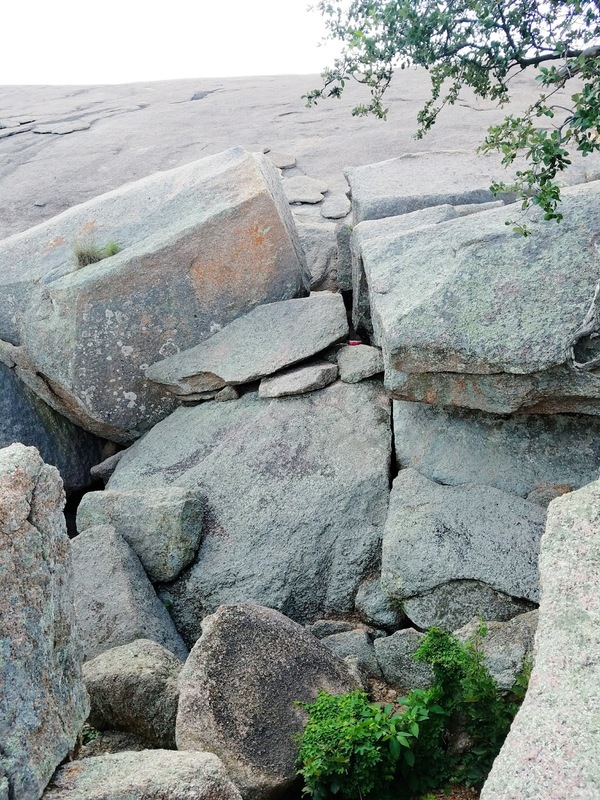 I loved seeing these massive boulders on the west of Summit Trail. They looked like they were really fun to climb and they also made a good place to stop and sit down. Another must-see spot on the trail we went down on were these small rivers of running water just west of Summit Trail. I didn't expect to see water on the hike, but it was cool to see how the water formed weathering patterns in the rock. Everything looked so green on the way down. It really was so beautiful! We were so tired and relieved once we reached the bottom of the trail. We made sure to get some German food in nearby Fredericksburg, TX and then stop by for some amazing pie at Blue Bonnet Cafe in Marble Falls, TX. So, so good after a long day outside. 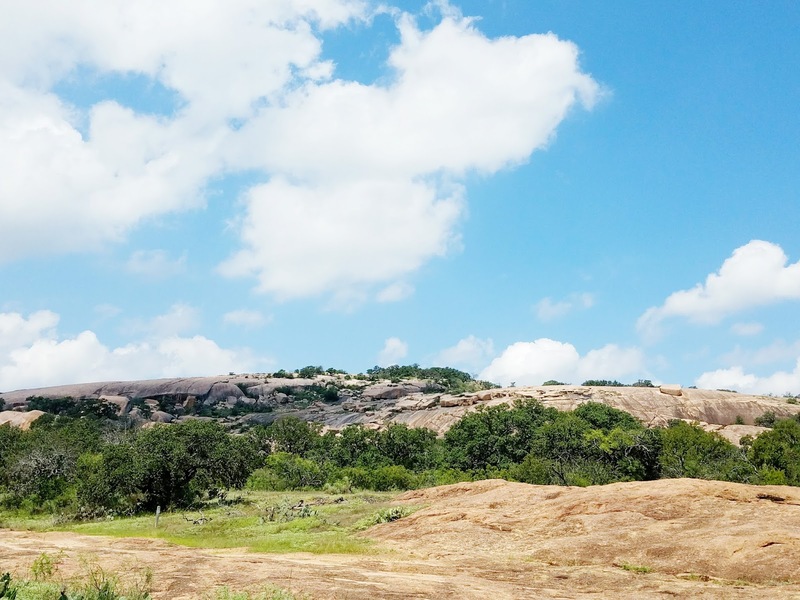 I hope you enjoyed seeing some snaps of Enchanted Rock. 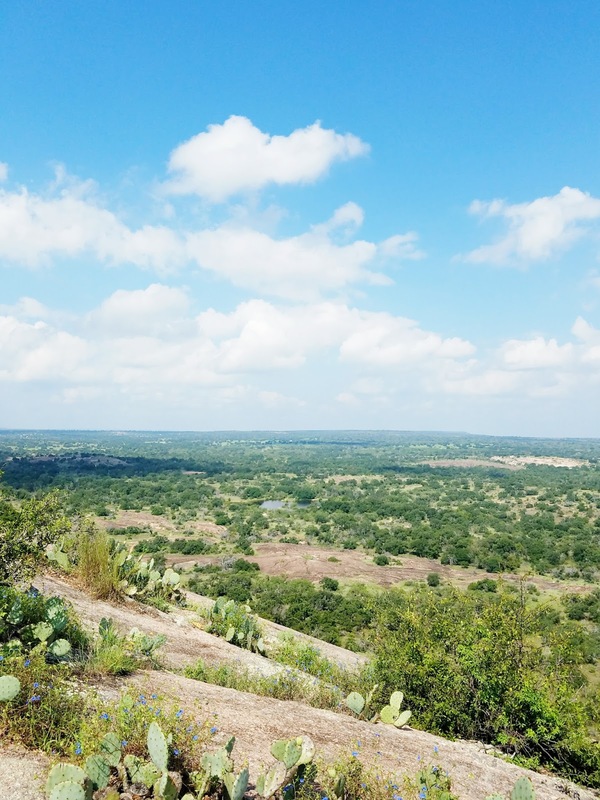 My Texas friends, have you ever been before? I'd love to know! It's gonna be one busy and hectic week for me at school, so your prayers are much appreciated! See you back here on Thursday for a recap of our Teen Vogue Back-to-School Party. Thanks for reading, y'all! I haven't been in a long time! I should go back. Thanks for the idea. Ugh, I want to visit now it's beautiful!! !